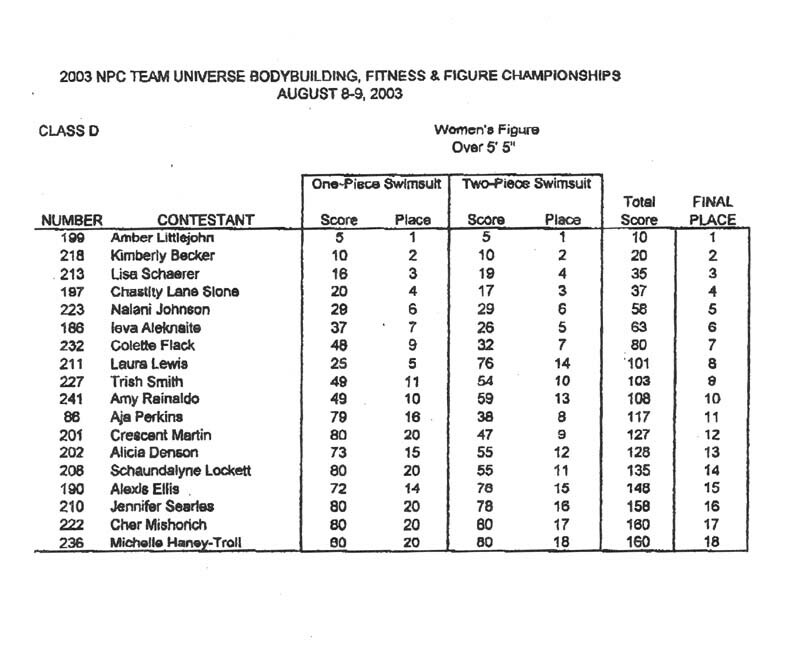 Note: This contest demonstrates that the local phenomenon of figure taking over from fitness - that is, having a stage full of figure competitors but very few in fitness - is now having a national effect. 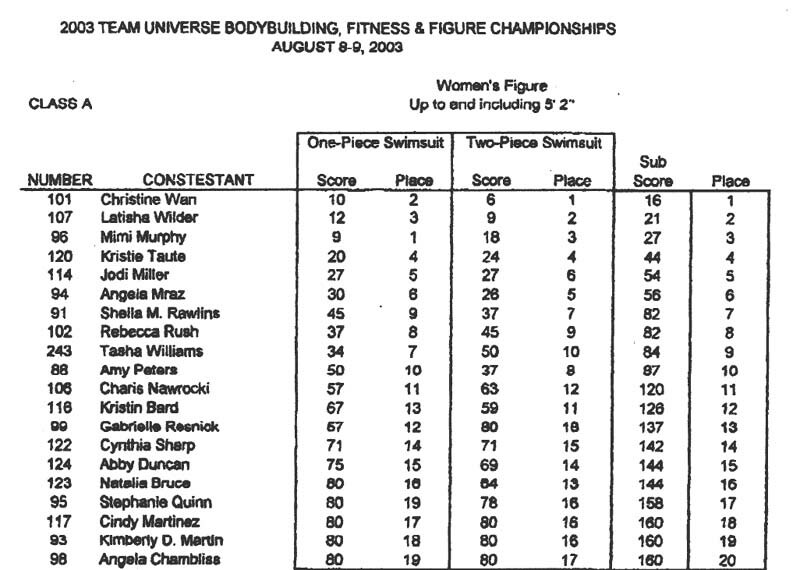 At the Team Universe, there were 4 classes of figure competitors (although nobody has made it clear why you need classes in figure at all, except to pack more women into the competition) with 72 women total. 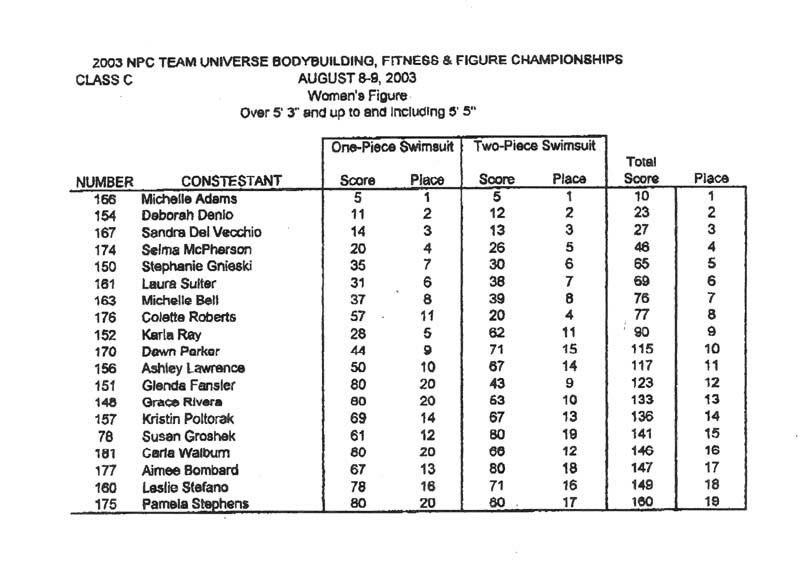 There were only 12 entered in fitness, with one class composed of 3 competitors and another of 2. Clearly, something has to be done in order to save fitness. The obvious remedy is to broaden out the type of performance that earns high scores, giving more points for dance and other athletic effort and less to gymnastics and tumbling. Gymnastics already has a federation. 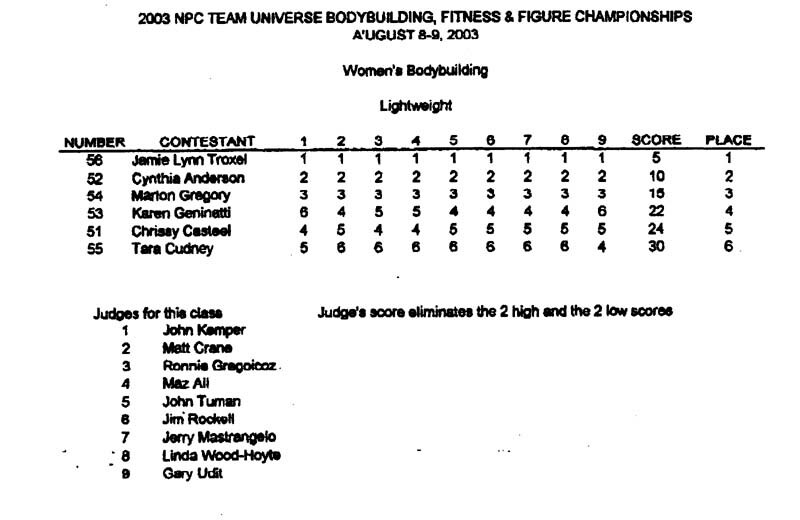 The NPC audience is interested in physique. 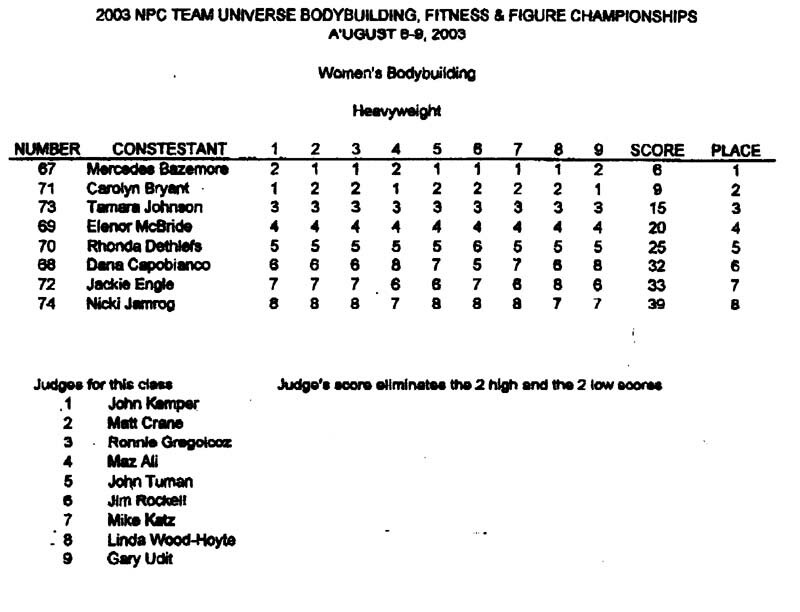 Class A -Up to and including 5'2"
Class B - Over 5'2" and up to and including 5'3"
Class C - Over 5'3" and up to and including 5'5"
Class D - Over 5'5"
However, instead of moving in this direction the NPC has once again moved in the other. 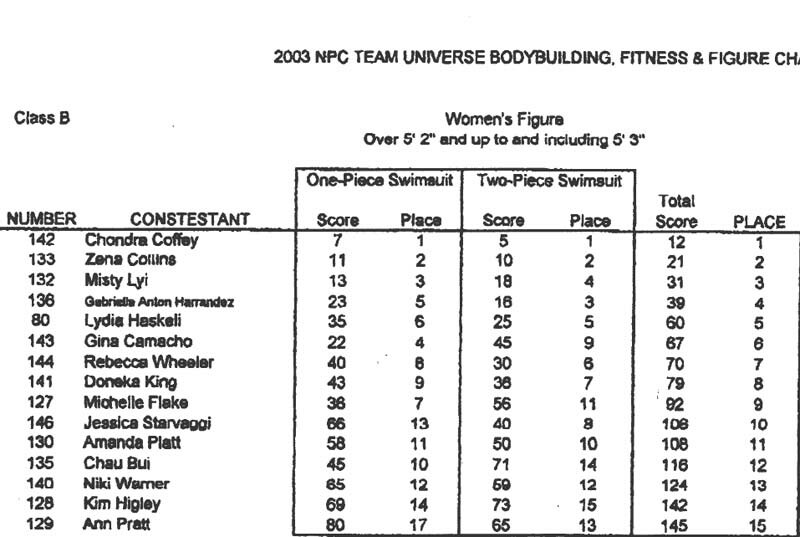 This is the last year for fitness in the Team Universe. 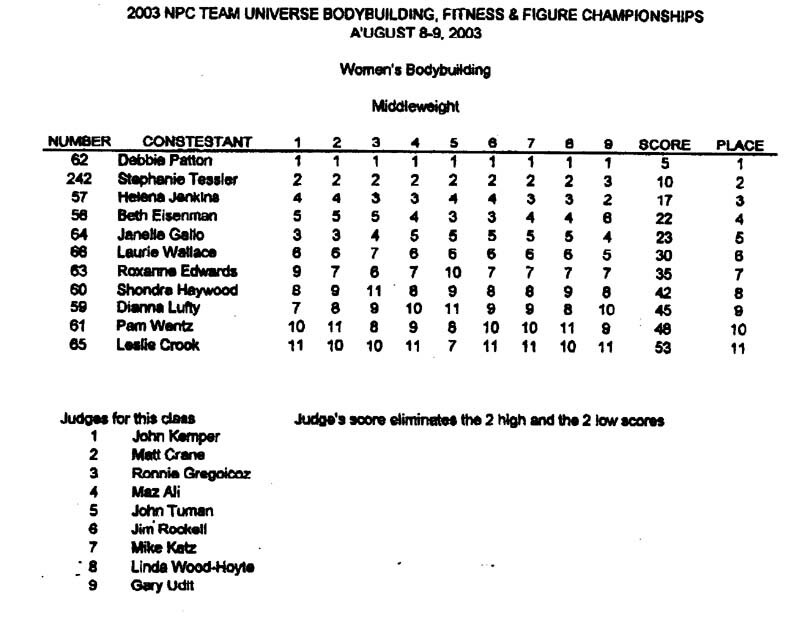 Next year the event will be the Team Universe Bodybuilding and the National Figure Championships. Get ready for lots more quarter turns.